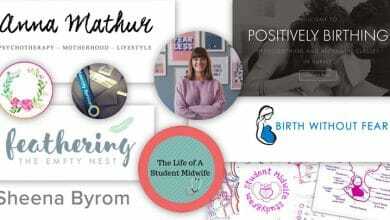 Being a midwife is so rewarding but I would say that the one thing that topped the ‘rewarding scale’ for me was being a midwife for my friend during her pregnancy and birth and being the first to meet her newborn baby. The whole experience was emotional, satisfying and a time that I will never forget. What I enjoy the most about continuity of care is knowing the person that you are caring for. When you first meet a couple in labour, you try to squeeze in all the questions to quickly build a rapport, ‘when did you meet, how long have you been married, where do you work, any other interests’ to find common ground, to keep the conversation going and to build the professional relationship needed to work together. Unless you are a case-loading midwife, we often are not able to give continuity of care i.e. as midwives based in a maternity unit we often don’t know the women who come in to give birth. This is due to staffing, shift working and other commitments. To be able to offer this type of care to my friend during such an important time in her life, (from the booking appointment to discharging her care to the health visitor) was fantastic. There will always be a feeling of trepidation looking after someone that you are close to, midwifery is naturally teamed with worry, stress and responsibility, but combine that with caring for a friend, the feelings are immeasurable! 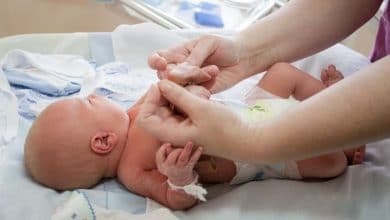 You are not in control of so many aspects of birth; we often talk to women about how birth plans can set up for disappointment, but it is only natural to have birth wishes and ideologies, especially when looking after a friend. You know their hopes but all you can do is support the journey and fingers crossed that all goes to ‘plan’. My main observation when caring for someone you know is the minimal need for communication. A look, a handhold or word of encouragement says 1000 words and at that point you know ‘you’re in it together, a true partnership’. I remember when the same friend looked after me when having my first baby; she made me feel ‘safe’, a feeling that I try to recreate for everyone I look after. It is well known that caring for friends, relatives and colleagues can bring additional stress. Emotions can interfere with decision-making and additional support may be required during this time. So it’s not as simple of just saying ‘I’ll look after you, I’m qualified’. Many Trusts require paperwork to be completed when caring for someone close to you; management, the Head of Midwifery and supervisor of midwives are all involved with ensuring that case loading a friend, relative or colleague is in the best interest of all involved. Would I do it again? Absolutely. It’s a privilege to help bring any baby into the world, but supporting a friend through this amazing time was the icing on the cake.